Mutual funds are well customized to suit the risk appetite of a wide range of investors.  Before choosing a particular scheme, an investor should understand the objective of that scheme. This means that among the diversified range of schemes, an investor should understand which type of scheme will be apt for the investor’s desired expectations of risk and reward. Through this article, you will be able to understand the two major types of mutual fund schemes, i.e. open-ended mutual fund scheme and close-ended mutual fund scheme, which will assist you in opting for the portfolio that you may be looking for. The open-ended fund scheme is known for its liquidity component. In case of open-ended mutual fund schemes, the units are available for subscription continuously. This means that the investors can buy or sell units of the mutual fund scheme at prices based on Net Asset Value disclosed on a daily basis. Since the open-ended mutual fund scheme can issue and redeem units on a continuous basis, it provides flexibility to the investors to enter or exit a scheme as per their comfort. Under open-ended mutual fund scheme, the number of outstanding units fluctuates frequently, depending upon the number of units sold or repurchased by the fund. Further, these funds are not compulsorily required to issue units continuously. It is solely the management’s decision to decide the quantum of subscriptions to be accepted for a particular fund/scheme. In case the size of the fund of open-ended fund scheme gets more than manageable, the management may stop selling units at that point in time. Enroll in NSE Academy Certified Financial Planning & Wealth Management course on Elearnmarkets to become an expert in financial planning and wealth management. Unlike open-ended mutual fund schemes, which are quite liberal in their fund issuance’s and redemption pattern, close-ended mutual fund follows a tighter approach. In case of close-funded mutual fund scheme, the number of units to be sold is predetermined and specific. The investors cannot subscribe the units of a close-ended scheme after the elapse of the net offering period. Further, the investors cannot exit before the end of the term of the close-ended mutual fund scheme. However, in certain cases, these kinds of schemes are listed on the stock exchange to provide the investors with the option to exit before the term of the scheme. Apart from this, the close-ended mutual fund schemes also provide an option to buy back the unit. Apart from the Net Asset Value of the close-ended mutual fund scheme, demand, and supply of the units under that scheme affects the prices of the units. Though both the types of funds provide suitable returns to the investors, over the year’s open-ended mutual fund has outperformed the close-ended mutual fund. The open-ended mutual fund scheme provided an added advantage of flexibility and liquidity. Undoubtedly investing in mutual funds is seeing an upward graph, but before investing do decide which kind of scheme you are willing to opt for. Feel free to write back to us, if you have any queries .by using the comment box below. In the previous module, I came across a statement under the”Fixed Income Securities types” the classification on the basis of Interest rate – “Floating interest rate type” that “Interest rate varies periodically and is proportional to the market rate. The inverse floater pays coupon linked to the market interest rate, but links it inversely proportional to it.” What does this mean?